Pursuant to Executive Order (EO) 13650 “Improving Chemical Facility Safety and Security”, OSHA was directed to modernize their Process Safety Management of Highly Hazardous Chemicals (PSM) standard (29 CFR 1910.119). OSHA has issued potential revisions to the standard and convened a Small Business Advocacy Review (SBAR) Panel earlier this year. The Small Business Regulatory Enforcement Fairness Act (SBREFA) Panels were conducted back in June 2016, with the completed report placed in the federal docket on August 1, 2016. On September 1, 2015, the National Fire Protection Association (NFPA) issued NFPA 652, Standard on the Fundamentals of Combustible Dust. NFPA 652 is the first step to creating a single, unified combustible dust standard that would apply to all facilities. On July 29, 2016, the U.S. Court of Appeals for the D.C. Circuit ruled on the lawsuits over EPA’s Boiler MACT (40 CFR Part 63, Subpart DDDDD) and Boiler GACT (40 CFR Part 63, Subpart JJJJJJ) regulations. The lawsuit was the consolidation of multiple suits from industry and environmental groups. The split of the suits from industry versus environmental groups was stated by the court to be approximately 50/50. In summary, the court rejected all the industry petitions and granted some of the petitions from environmental groups. The most significant aspects of this ruling pertain to vacating portions of the standard and remanding additional portions of the standard to EPA to provide further explanation. OSHA has extended the compliance deadline to July 22, 2016 for those affected facilities previously considered exempted retail facilities under the PSM regulation. In July 2015, OSHA revised the PSM retail exemption interpretation to only exempt those facilities under NAICS codes 44 and 45. As part of this change, those affected facilities are will also required to update their EPA RMP programs from level 2 to level 3. 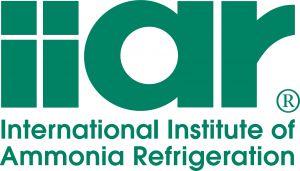 On December 3, 2015, the International Institute of Ammonia Refrigeration (IIAR) published the new ANSI/IIAR 2-2014: American National Standard for Safe Design of Closed-Circuit Ammonia Refrigeration Systems. This standard replaces the 2008 edition of the standard. This is IIAR’s first comprehensive safety standard and was written specifically for adoption by code making bodies. This change sees the new standard written using enforceable language. Informative topics and guidance are now included in appendices. Historically, ANSI/IIAR 2 has served as the recognized and generally acceptable good engineering practices (RAGAGEP) for safe design and compliance for ammonia refrigeration facilities subject to the Occupational Safety and Health Administration’s (OSHA) Process Safety Management (PSM) and the Environmental Protection Agency’s (EPA) Risk Management Plan (RMP). This won’t change with the new standard; however, we could see a more formal adoption of the standard by OSHA and EPA. On January 18, 2016, the National Fire Protection Association (NFPA) published the 2nd draft report for NFPA 499: Recommended Practice for the Classification of Combustible Dusts and of Hazardous (Classified) Locations for Electrical Installations in Chemical Process Areas. It is now open for a Notice of Intent to Make a Motion (NITMAM) until February 19, 2016 for those on a Committee Comment, Second Revision, or Second Correlating Revision. The purpose of NFPA 499 is to provide information on classifying combustible dusts and locations and provide recommended practices on proper selection of electrical equipment in hazardous (classified) locations per NFPA 70, National Electrical Code. NFPA 499 is a compendium document to Chapter 5 (Article 500) of NFPA 70 and does not supersede any requirements of other NFPA standards (e.g. NFPA 61, 68, 69, 654, 664, etc.). The EPA’s Risk Management Plan (RMP) regulation (40 CFR Part 68) was issued in multiple stages, beginning in 1994. The regulation was modeled after OSHA’s Process Safety Management (PSM) standard (29 CFR 1910.119). The RMP regulation is about reducing chemical risk at the local level. The information from the RMP aids local fire, police, and emergency response personnel in responding to chemical accidents. It also helps citizens to understand the chemical hazards in their communities. The regulation has been left relatively unchanged since its issuance.